« Free Practice Night! HepCat Lindy Hop Dance! 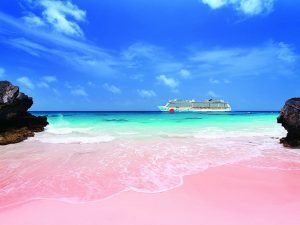 We’ll be dancing from NYC to the beautiful pink sands of Bermuda! Dates are Sunday to Sunday 10/13-10/20 including Columbus Day so working folks only need to take off four days! We’ll have four days in beautiful Bermuda and three days of swing dance classes at sea just for our group. We’ll be sailing on the Norwegian Escape, the newest Norwegian ship. PLUS an additional onboard credit, dependent on your stateroom category!